The Hermitage is Morningside’s premier gastro pub. Serving quality, honest food accompanied by craft beers, ales, cocktails and wine. Dogs allowed in bar area (but not in the dining area). 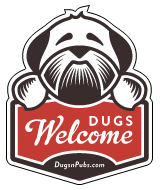 There are a total of 3 dog friendly listings in the Morningside Pubs category. Please log in, or sign up as a member to view all listings.